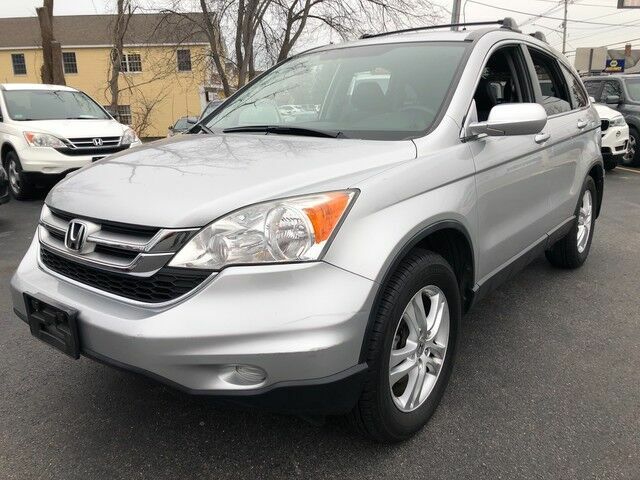 You'll appreciate the way our Alabaster Silver Metallic with 1-Owner Clean Carfax certified 2010 Honda CR-V EX-L gives you the handling characteristics of a car, yet retains the high seating position and excellent visibility of a large SUV. Powered by a 2.4 Liter 4 Cylinder that is perfectly paired to a responsive 5 Speed Automatic transmission for smooth shifts. Our Front Wheel Drive SUV offers plenty of passing power while still reaching 28mpg on the highway. Smooth body lines, privacy glass, alloy wheels, and fog lights all add to our CR-V EX-L's appeal. On the inside, you'll find full power accessories, a multi-function steering wheel putting audio and cruise controls at your fingertips, leather seats, heated front seats, an outstanding sound system with available satellite radio, dual climate controls, a power sunroof, and more. ABS, daytime running lights, airbags, and more safety features are there to keep you and your precious cargo secure, too. It's easy to see yourself behind the wheel of this Honda CR-V! Print this page and call us Now... We Know You Will Enjoy Your Test Drive Towards Ownership!